This entry was posted in Children, Photos and tagged children sleeping, genetics by Prosecco & Pampers. Bookmark the permalink. Marguerite – you were born in 1975 – that picture was taken at Grandmother’s and Grandfather’s in 1977! You were about 18 months old at the time. on second thought – maybe you were much younger…like around a year or so. I do forget but it is a cute picture! 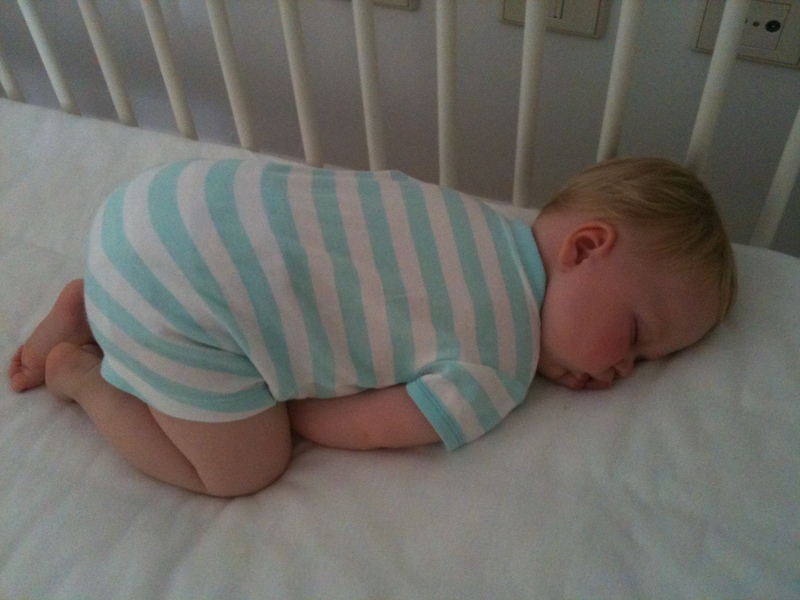 It does not matter how old you were Marguerte,,,your son sleeping the same way you did. nice pictures of both of you….